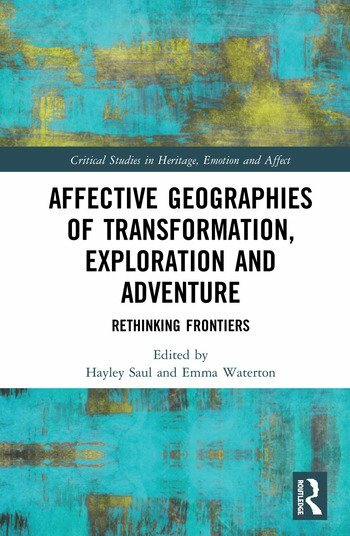 Combining critical reflections from scholars around the globe as well as experiential records from some of the world’s most tenacious explorers, this book interrogates the concept of the ‘frontier’ as a realm of transformation, exploration and adventure. We discover the affective power of social, physical, spiritual and political frontiers in shaping humanity’s abilities to change and become. We collectively unpack the enduring conceptualization of the frontier as a site of nation-state identity formation, violent colonization, masculine prowess and the triumph of progress. In its place, this book charts a more complex and subtle emotional geography amidst an array of frontiers: the expanding human psyche that is induced under free-diving narcosis and tales of survival on one of the most technically difficult mountains in the world, ‘The Ogre’. Chapters consider solitude in the Sahara, near-death experiences in Tibetan Buddhism, the aftermath of a volcanic eruption in Bali, the Spanish Imaginary, snatched moments of sexual curiosity, and many more. This book will be of upmost importance to researchers working on theories of affect, the Anthropocene, frontier theory and human geography. It will be vital supplementary reading for undergraduates and postgraduates on courses such as Heritage Studies, Human and Cultural Geography, Anthropology, Tourism Studies and History. Hayley Saul is a lecturer at Western Sydney University, Australia, and Director of the Himalayan Exploration and Archaeological Research Team (HEART) research group. Following her Ph.D. at the University of York she undertook AHRC-funded post-doctoral research with the Early Pottery in East Asia project and was a Japan Society for the Promotion of Science post-doctoral fellow on the Japanese Archaeo-Ceramic Residue Research Strategy (JARRS) project. Her current research project, the Chaturale Museum of Cuisine, with a Nepalese community on the outskirts of Kathmandu, draws together her interests in culinary heritage and Nepalese archaeology. Emma Waterton is Associate Professor in the Geographies of Heritage at Western Sydney University, Australia. She was a Research Councils UK (RCUK) Academic Fellow at Keele University from 2006–2010 and a DECRA Fellow at WSU from 2012–2016. Her research explores the interface between heritage, identity, memory and affect in both Australian and international contexts. She has published nineteen books, including the monographs Politics, Policy and the Discourses of Heritage in Britain (2010), Heritage, Communities and Archaeology (co-authored with Laurajane Smith; 2009) and The Semiotics of Heritage Tourism (co-authored with Steve Watson; 2014).